The Mediterranean countries include France, Spain, Italy, Greece and Portugal along the north; Turkey, Syria, Lebanon, and Israel on the east; the African countries of Egypt, Libya, Tunisia, Algeria and Morocco on the south and the Mediterranean Island Countries of Cyprus and Malta. The Mediterranean countries utilize many of the same healthy ingredients but each country has a unique way of creating recipes with those same ingredients. So far in this series, I have written about Mediterranean cuisine in general and about the cuisine in the countries of Portugal, Spain, France, Italy, Greece, Turkey, Syria, Lebanon, Israel, Egypt, Libya, Tunisia, Algeria, and Morocco. This series concludes with the Mediterranean Island Countries (also referred to as the Mediterranean States) of Cyprus and Malta. There are only two Island countries in the Mediterranean Sea. Malta, officially the Republic of Malta, consists of the main island of Malta and the smaller islands of Gozo and Comino. The island nation is located east of Tunisia, and about 100 km (60 mi) south of the island of Sicily, Italy. Malta has been inhabited since 5900 BC. Its location in the center of the Mediterranean has historically given it great strategic importance as a naval base, with a succession of powers having ruled the island, including the Phoenicians, Carthaginians, Greeks, Romans, Byzantines, Arabs, Normans, Sicilians, Spanish, Turks, French, and British. Most of these foreign influences have left a mark on the country’s ancient culture. The official languages are Maltese and English, with Maltese also recognized as the national language. Italian is also spoken by most of the population. Cyprus is located south of Turkey, west of Syria and Lebanon, northwest of Israel, north of Egypt, and southeast of Greece. Cyprus was settled by Mycenaean Greeks in the 2nd millennium BC. As a strategic location in the Middle East, it was subsequently occupied by several major powers, including the empires of the Assyrians, Egyptians, and Persians. Cyprus was placed under British administration in 1878 and was formally annexed by Britain in 1914. Currently, the Republic of Cyprus is partitioned into two main parts: the area under the control of the Republic, located in the south and west that comprises about 59% of the island’s area; and the north, administered by the self-declared Turkish Republic of Northern Cyprus, covering about 36% of the island’s area. Another 4% of the island’s area is the UN buffer zone. Maltese cuisine shows strong Sicilian and English influences as well as influences of Spanish, Maghrebin and Provençal cuisines. A number of regional variations can be noted as well as seasonal variations associated with the availability of produce and Christian feasts (such as Lent, Easter, and Christmas). Food has been important historically in the development of a national identity and, in particular, the traditional fenkata (stewed or fried rabbit). Traditional Maltese food is rustic and based on the seasons. On most food shop counters, you’ll see Bigilla, a thick pate of broad beans with garlic. Snacks include a round of bread dipped in olive oil, rubbed with ripe tomatoes and filled with a mix of tuna, onion, garlic, tomatoes, and capers. Also popular are pastizzi (flaky pastry filled with ricotta or mushy peas). Depending on the season, you’ll see spnotta (bass), dott (stone fish), cerna (grouper), dentici (dentex), sargu (white bream) and trill( red mullet) in the spring. Swordfish and tuna follow later, around early to late autumn, followed by the famed lampuka, or dolphin fish. Octopus and squid are very often used to make rich stews and pasta sauces. The popularity of pork and its presence in various dishes can be attributed to Malta being on the edge of the Christian world. Consuming food which is taboo in the Muslim culinary culture could have been a way of self-identification by distinguishing oneself from the other. In addition to pork dishes, the cuisine includes Maltese sausages, kawlata (a vegetable soup) and baked rice. Despite Malta’s small size, there are some regional variations. This is especially the case in the area of Gozo. Gozitan cheeselet and ftira Għawdxija, a flatbread topped or filled with potatoes or eggs, grated cheese, tomatoes, anchovies, olives, ricotta and Maltese sausage as other possible ingredients. Gozitan cheeselets are used as filling for ravioli instead of the usual ricotta. Because Catholic fasting during Lent involved mostly meats and dairy products, fish such as Lampuki became a popular dish during this period as were stewed snails, stuffed artichokes, and fritters. Cypriot cuisine is closely related to Greek and Turkish cuisine; it has also been influenced by Byzantine, French, Italian, Catalan, Ottoman and Middle Eastern cuisines. Meze is a large selection of dishes with small helpings of varied foods, brought to the table as different courses. The meal begins with black and green olives, tahini, skordalia (potato and garlic dip), hummus, taramasalata (fish roe dip), and tzatziki, all served with chunks of fresh bread and a bowl of mixed salad. Some of the more unusual meze dishes include octopus in red wine, snails in tomato sauce, brains with pickled capers, samarella (salted dried meat), quails, pickled quail eggs, tongue, kappari pickles (capers), and moungra (pickled cauliflower). Bunches of greens, some raw, some dressed with lemon juice and salt, are basic on the meze table. Fish, grilled halloumi cheese, lountza (smoked pork tenderloin), keftedes (minced meatballs), sheftalia (pork rissoles), and loukaniko (pork sausages) can follow. Hot grilled meats – kebabs, lamb chops, chicken – may be served toward the end. The dessert is usually fresh fruit or glyka – traditional sugar-preserved fruits and nuts. Halloumi cheese originated in Cyprus and was initially made during the Medieval Byzantine period. Halloumi (Hellim) is commonly served sliced, either fresh or grilled, as an appetizer. Seafood and fish dishes include squid, octopus, red mullet, and sea bass. Cucumber and tomato are used widely in salads. Common vegetable preparations include potatoes in olive oil and parsley, pickled cauliflower and beets, asparagus and taro. Other traditional delicacies are meat marinated in dried coriander seeds and wine, dried and smoked lountza (smoked pork loin), charcoal-grilled lamb, souvlaki (pork and chicken cooked over charcoal), and sheftalia (minced meat skewers). Pourgouri (bulgur, cracked wheat) is the traditional source of carbohydrate other than bread. Fresh vegetables and fruits are common ingredients. Frequently used vegetables include courgettes, green peppers, okra, green beans, artichokes, carrots, tomatoes, cucumbers, lettuce and grape leaves, beans, broad beans, peas, black-eyed beans, chickpeas, and lentils. The most common fruits and nuts are pears, apples, grapes, oranges, mandarins, nectarines, medlar, blackberries, cherry, strawberries, figs, watermelon, melon, avocado, lemon, pistachio, almond, chestnut, walnut, and hazelnut. Spices play an important role in the cuisine. The best-known spices and herbs include pepper, parsley, arugula, celery, fresh coriander (cilantro), thyme, and oregano. Traditionally, cumin and coriander seeds make up the main cooking aromas of the island. Mint is a very important herb in Cyprus. It grows abundantly, and locals use it for everything, particularly in dishes containing ground meat. For example, the Cypriot version of pastitsio contains very little tomato and generous amounts of mint. The same is true of keftedes (meatballs). Fresh coriander or cilantro are often used in salads, olive breads, spinach pies (spanakopita) and other pastries. Cyprus is also well known for its desserts, including lokum (also known as Turkish Delight) and Soutzoukos. Loukoumades (fried dough balls in syrup), loukoum, ravani, tulumba, and baklava are well-known local desserts. There are also pastiș, cookies made of ground almonds, that are offered to guests at weddings. Flaounes are savory Easter pastries that contain goat cheese (or a variety of cheeses), eggs, spices and herbs all wrapped in a yeast pastry, then brushed with egg yolk and dipped into sesame seeds. To make the marinade, combine all the ingredients in a non-metallic bowl. Add the rabbit pieces, combine well, then cover and refrigerate for at least 2 hours. Drain the rabbit pieces, reserving the marinade. Pat the rabbit dry, season to taste and dust with flour. Heat the vegetable oil in a large heavy-based saucepan over medium-high heat. Add the rabbit and cook until golden on both sides. Remove from the pan and set aside. Reduce the heat to medium, then add the onion and garlic and cook for 5 minutes or until softened. Add the tomato paste and spices and stir for a few minutes or until fragrant. Add the reserved marinade and simmer for 15 minutes. Return the rabbit pieces to the pan. Add the stock and simmer for 20 minutes or until reduced by one-third. Cover with a lid, reduce the heat to low and cook for another 40 minutes. Add the potatoes and cook for another 30 minutes or until tender. A few minutes before serving, stir in the peas. Scatter with parsley and serve. Parboil rice by filling a medium pot with water ¾ of the way and boil. Add rice and reduce water to simmer for 15 minutes. Drain rice and set aside. Fry 1 tablespoon olive oil in a large frying pan and add mince. Fry for 5 minutes and then add tomato paste and curry powder. Fry for a further five minutes or until meat is browned. Remove fried meat and set aside. In the same pan add 1 tablespoon olive oil and fry onion and garlic on medium heat for five minutes. Add the courgette and fry for a further five minutes. Add back the meat and add the chopped tomatoes, and passata. Bring to a boil and then reduce to a simmer. Simmer for fifteen minutes. Once completed; preheat oven to 220 C.
Add rice, cheese (leave some cheddar cheese aside to place on top) and eggs to the meat and tomato sauce mixture. Add the mixture in a medium-sized baking dish plus the 1½ cups water too. Place the remaining ½ cup of cheddar on top. Reduce the oven to 180 C and place the dish in the oven. Cook for 30 minutes or until crispy around the edges. Clean the octopus thoroughly under cold running water. Place the octopus in a pot with hot olive oil (1 tablespoon), cover and cook. Simmer to bring out all the juices and continue cooking until the liquid is reduced and the octopus is tender. Add some water if needed. Remove from the heat and drain. Serve hot or cold, seasoned with oregano and olive oil/vinegar dressing or olive oil/lemon juice dressing. Note: You can also cook the octopus on the grill. If the octopus is thick, cut it into small pieces before serving. Make the dressing by mixing everything together in a small bowl. Cover and set aside. Cut each peach half into wedges. Cut Halloumi into 1cm thick slices. Heat half the oil in a large frying pan. Fry the cheese for 3-4 minutes on each side or until golden brown and almost crusty. Remove from the pan and keep warm. Add the chicory and onions to the hot pan, stir-fry until slightly wilted and colored. Transfer onto an absorbent kitchen towel. Heat the remaining oil. Add the peach wedges and fry for a minute or two, until softened, lightly colored but still retaining their shape. Combine all the ingredients together then pour on the dressing. Piacenza is a city in the Emilia-Romagna region of northern Italy. It is the capital of the province of Piacenza. Piacenza is located at a major crossroad between Bologna and Milan and between Brescia and Tortona. The city hosts two universities, Università Cattolica del Sacro Cuore and Politecnico di Milano. Founded by the Romans, destroyed by the Goths and resurrected by medieval noble families, this elegant Emilia-Romagna city flourished due to its location on a natural commercial artery, the Po River. In this place, nature dominates among rocky spurs, hills strewn with vineyards and sceneries dominated by spires, towers and impressive fortresses. It is a land full of natural beauties, valleys and mountains, but also history and art. It is also an excellent example of Gothic-Lombardy architecture. This is also the main production area for Parma hams (almost all are produced here) as well as Parmigiano cheese and Colli di Parma wines. The outermost roads and valleys have always been used as passageways and battlegrounds. This explains the presence of castles and strongholds here since ancient times. Some of them are open to the public but others are still occupied. 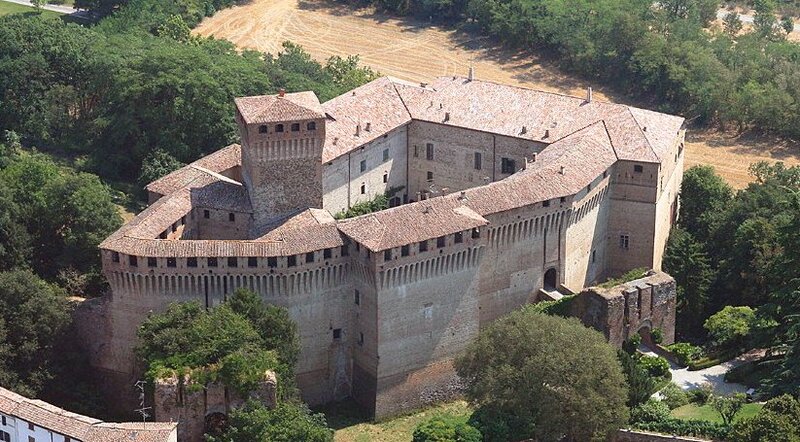 The great number of medieval castles with their unmistakable shapes stand out all over the land: for example, the Fortress of Castell’Arquato and the castles of Gropparello, Paderna, Rivalta and Rocca d’Olgisio. 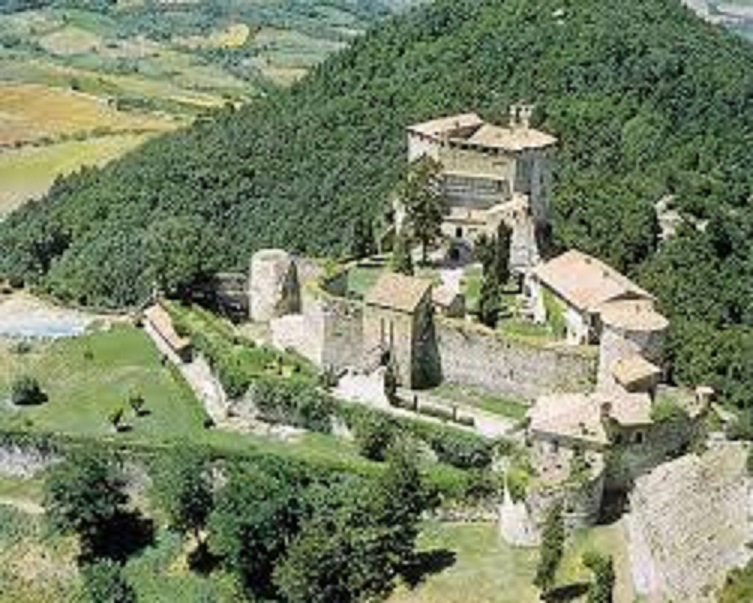 The best preserved castle is Torrechiara. 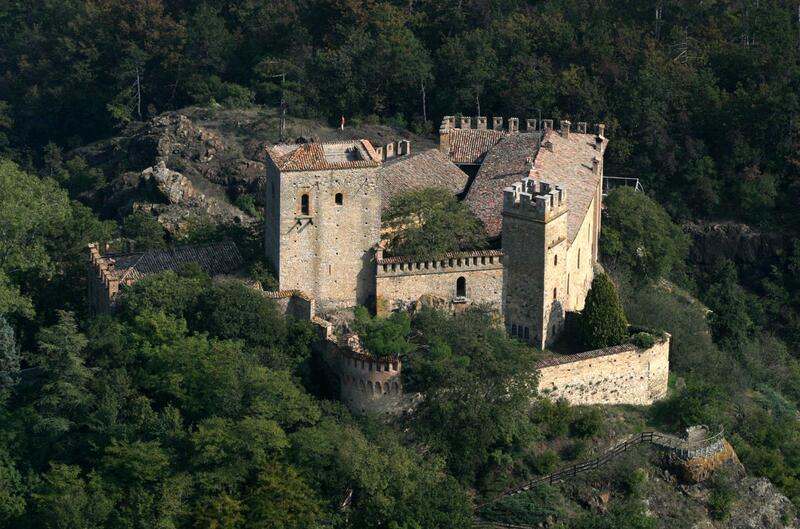 The castle is almost unchanged, since the 15th century when it was built by Pier Maria Rossi. Every room is filled with “grotesque” frescoes, where naked acrobats perform impossible feats of fantasy atop lions. In other rooms, fantasy scenes combining animals, plants and people are strung out over every surface. 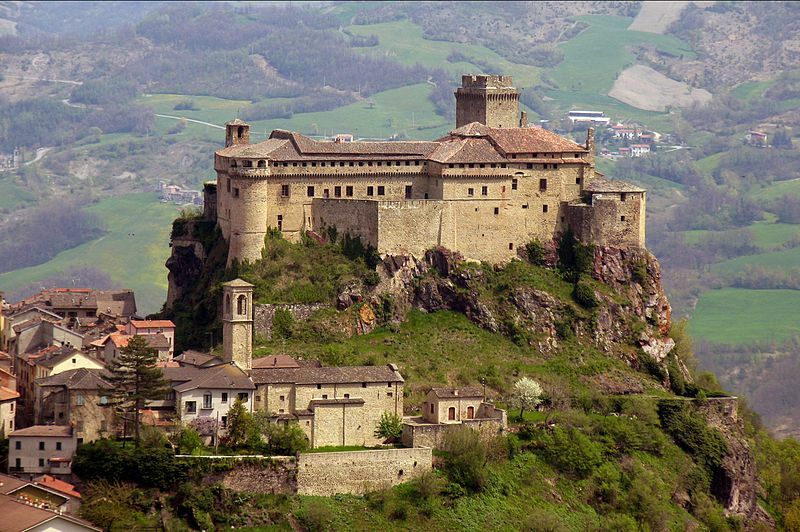 Rocca d’Olgisio is set in the rock and presides over the valley of the Tidone. It is one of the oldest and most striking strongholds in the Piacenza area, surrounded by 6 rows of walls. It was built in the eleventh century and, after several owners, it changed hands in 1378 from Gian Galeazzo Visconti to Jacopo Dal Verme, the valorous winner of the Battle of Alessandria against the Florentines. 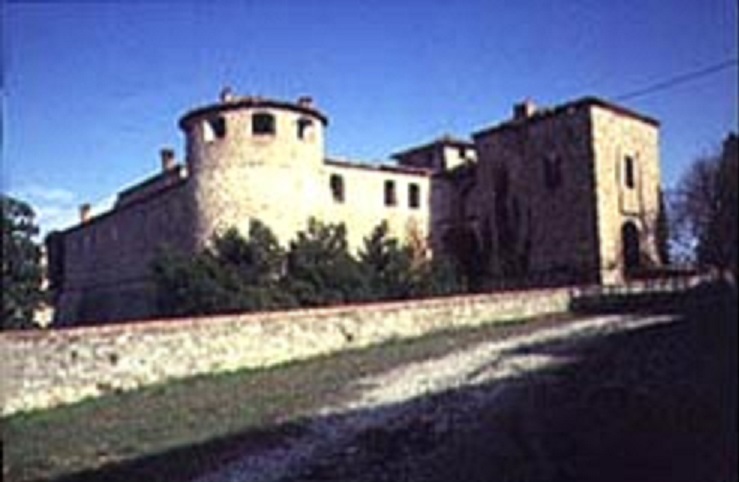 Castello di Corticelli is in the municipality of Nibbiano and the little fortress has belonged to the Arcelli Counts for centuries. It was first mentioned in 1028. Originally the fortress may have been made up of just two towers (now the layout is quadrangular) surrounded by a moat and walls that enclose an oratory and several rural houses within, which are built in stone and are still standing. The Castle and Fortress of Agazzano was first built in the 1200s for purely military purposes (round corner towers, drawbridges) with a loggia added by Luigi Gonzaga. Next to the fortress there is an eighteenth-century villa. The contrast between the two buildings that make up this architectural complex adds to its charm. The walls of the large rooms of the villa contain furnishings from the seventeenth to the nineteenth centuries. Particularly noteworthy are the ceramics and porcelain pieces. The French-style garden, with its statues and fountains, is from the end of the eighteenth century, when Luigi Villoresi, director of the park of the Royal Villa in Monza, assisted in its design. The Castle and Village of Rivalta is mentioned in documents as early as 1048 and in the fourteenth century it passed into the hands of the Landi family, who still own it today. It is an impressive residence surrounded by a magnificent park and among its frequent visitors there are members of the English Royal family. It stands out for the unmistakable and unique profile of its turret. The large reception room, dining room, kitchen, cellars, prisons, bedrooms, tower, armory, gallery, billiard room and museum of military costumes are all open to the public. The castle also has 12 luxury rooms in the village, if you want to stay the night. One of the most famous in the region is the Bardi Castle and it was the setting of a romantic love story between lady Soleste and Morello, one of her young and more valiant knights, whose ghost apparently still visits the place. 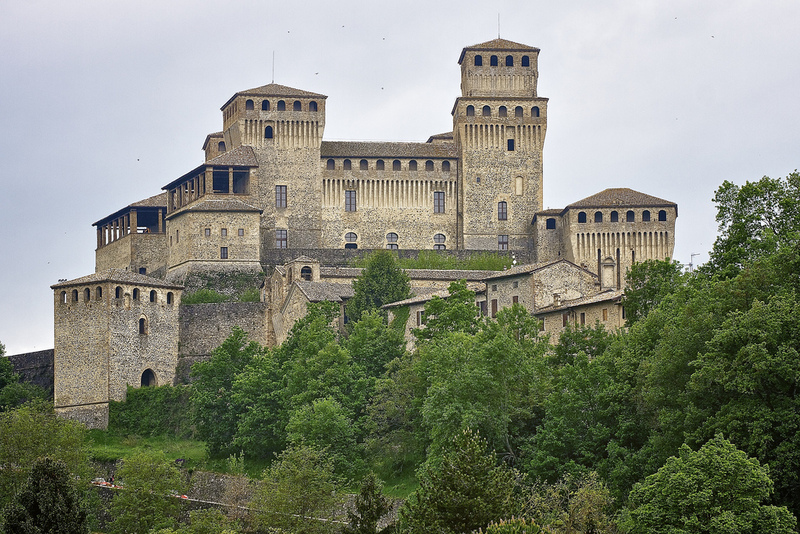 According to legend, the fairy, Berna, elected Montechiarugolo Castle as her home. People say she appears to young brides on the night before their wedding day to give them all the advice they need. Far more unsettling is the story of Lady Cenerina, who was brutally murdered in 1573 at Soragna Castle. Her ghost still haunts the place and her presence is felt by the family whenever something awful is about to happen. 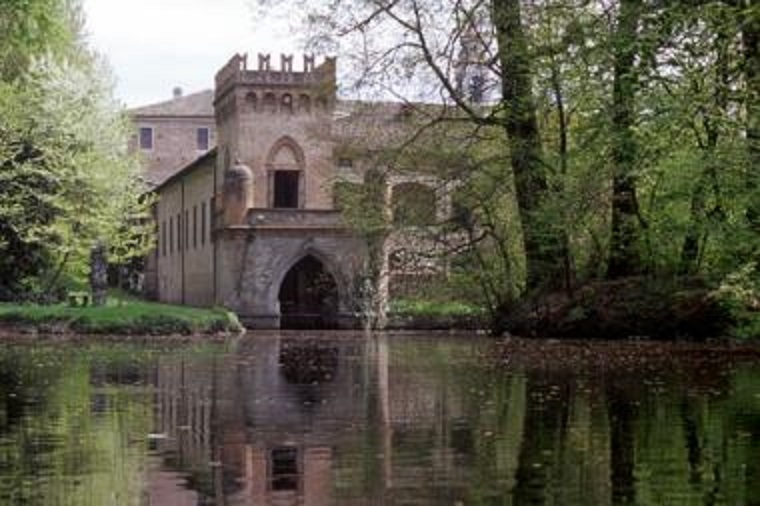 Another haunted place is Grapparolo Castle where Rosania was imprisoned by her jealous husband. Her laments and wails can still be heard on stormy nights. 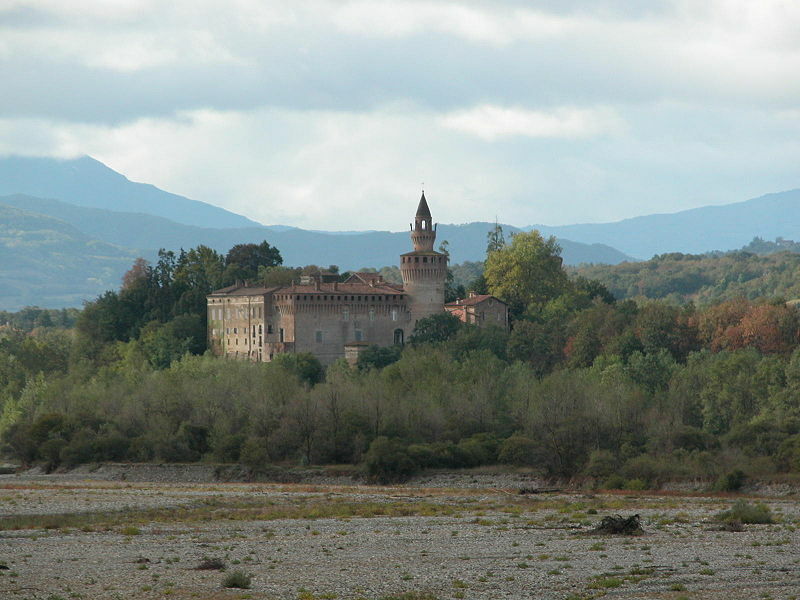 Supposedly, the ghost of Count Pier Maria Scotti can be seen and heard at Agazzano Castle. The unlucky nobleman was stabbed to death by a group of traitors who wanted to get hold of his fortress. Piacenza and its province are known for the production of seasoned and salted pork products. The main specialities are pancetta (rolled seasoned pork belly, salted and spiced), coppa (seasoned pork neck, containing less fat than pancetta, matured at least for six months) and salami (chopped pork meat flavored with spices and wine that are made into sausages). 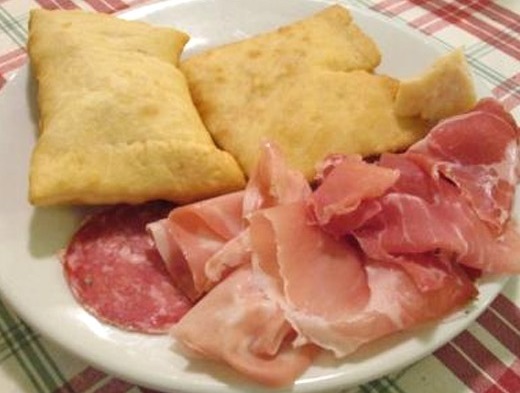 Bortellina (salted pancakes made with flour, salt and water or milk) and chisulén (a torta fritta made with flour, milk and animal fats mixed together and then fried in hot clarified pork fat) are then paired with pancetta, coppa or salami and Gorgonzola and Robiola cheeses. Among the culinary specialties of the region are mostarda di frutta, consisting of preserved fruits in a sugary syrup strongly flavored with mustard and tortelli dolci or fruit dumplings, that are filled with mostarda di frutta, mashed chestnuts and other seasonings. Turtéi, a similarly named Piacentine specialty, is a type of pasta filled with either squash or spinach and ricotta cheese. Pisarei e fasö is a mixture of handmade pasta and borlotti beans. Piacentine staple foods include corn (generally cooked as polenta) and rice (usually cooked as risotto), both of which are very common across northern Italy. There are also locally produced cheeses, such as Grana Padano. The hills surrounding Piacenza are known for their vineyards. The wine produced in this area is qualified with a D.O.C. (Denominazione di origine controllata) and is called “Colli piacentini” (“Hills of Piacenza”). Some of the other local wines are Gutturnio (red wine, both sparkling and still), Bonarda (a red wine, often sparkling and foamy), Ortrugo (a dry white wine) and Malvasia (a sweet white wine). 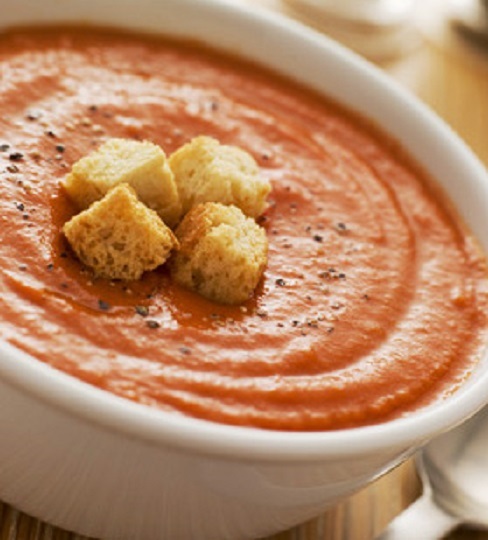 Blanch the tomatoes for one minute, peel, seed and purée them in a blender. Pour into a bowl and add the chopped herbs, the fresh garlic without its core, the oil, salt and pepper. Let it marinate for a few hours at room temperature. Remove the garlic and process the mixture in the blender, again. Add salt and pepper to taste. Add a few drops of Balsamic Vinegar. Place in a covered serving bowl, refrigerate for a couple of hours. Serve garnished with croutons. Cook the spinach, drain, squeeze and chop. Mix together with the ricotta cheese, then add the one egg, cheese and a little nutmeg. Sift the flour onto a pastry board, make a well in the center and add the eggs, 3 tablespoons water and the salt and mix well. Add the extra water, if the dough seems a bit dry. Roll out into a thin sheet, divide it into strips about 3.2 inches wide and make as many small squares measuring 1.6 inches that you can. On each of these put a dollop of filling. Fold the pasta to make either a triangular shape or a ravioli shape and seal the edges. Cook the tortelli in boiling salted water. Drain and serve dressed with melted butter and a generous helping of grated cheese. The chisolini can be served with various ingredients such as Parmigiano cheese, prosciutto, salami, etc. An easy way to eat Chisolini is to put the meat and cheese in the center of the rectangle and fold it in half. They can also be eaten for breakfast with coffee and milk. Put the flour onto a working surface and make a little well. Put the pork lard in the center of the well, then add the salt to the flour and finally dissolve the yeast in the water before adding to the flour. Mix everything together using your hands and knead the dough for 10 minutes. Once the dough is ready, put it into a container and cover with a kitchen cloth. Let it rise for a couple of hours. After two hours the dough should have doubled its size. Spread a bit of flour onto the working surface, so that the dough will not stick to it when rolled out. Turn the tough out onto the floured surface. Using a rolling-pin, make a large disk roughly 5 mm (3/16″) thick. Then, using a pastry wheel, cut the dough into rectangles, about 10 x 8 cm (4″ x 3 1/4″). Don’t be worried, if you get some with different sizes, like 10 x 6 cm (4″ x 2 1/2″) or 10 x 7 cm (4″ x 2 3/4″); it will work, with whatever shapes are cut. Fill a Dutch oven halfway with oil and heat to 180-190°C (355-375°F). When you drop the rectangles, one at a time, into the hot oil, you will see that it will stay in the bottom of the pan for just few seconds, then it will float and after few seconds again, it will inflate. Then, fry each side until they are golden. Usually, it takes 30-40 seconds per side, if fried at 190°C (375°F), but it could be less, if the temperature of the oil goes up, so look for the golden color rather than going by the time. Fry all the rectangles and put them into a large container with a tight-fitting lid. Put the chicken or rabbit parts into a large bowl filled with cold water. Add the vinegar to the water, then cover with plastic wrap and refrigerate for one hour. After about an hour, take the bowl out of the refrigerator, discard the water, rinse the chicken or rabbit parts and pat them dry. In a large sauté pan with a cover, melt the lard together with the butter over medium-high heat. When the fats start sizzling, add the onion and the celery to the pan and sauté for 3-4 minutes. Add the chicken or rabbit to the pan. Cook on each side for a few minutes until lightly brown. Add the tomatoes and stir until evenly distributed around the pan. Add the wine to the pan and stir. Then, add the chicken broth. Season with salt and black pepper. 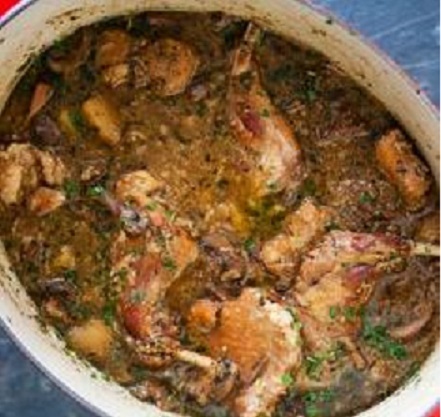 Turn the heat to low, cover the pan with a lid and cook for about 1 hour, turning the chicken or rabbit every 20 minutes. Finely chop the parsley and garlic together and add to the pan. Stir and continue cooking for another 10 minutes with the lid on. Uncover the pan and cook 10 minutes more to reduce the sauce to a thicker consistency. Plate the chicken or rabbit and serve with polenta in the Piacenza style. Tight on time? No problem. Try one of these simple yet delicious chicken recipes for dinner tonight. People love chicken for its taste, healthfulness and low-fat content, as well as how easy it is to cook with. 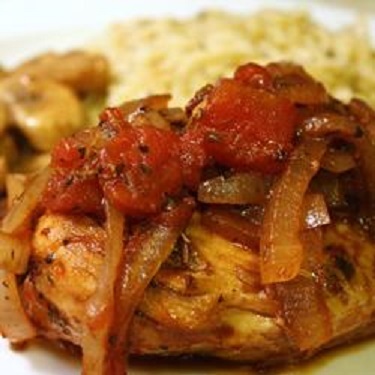 Chicken is one of the fastest cooking meats but it’s easy to overcook chicken breasts. These recipes for quick chicken use lots of different vegetables, herbs and spices to make delicious. Once you’ve mastered a recipe, try changing it! Add different ingredients and seasonings. Spices work well when blended together into a rub for chicken. Spices like cayenne pepper, cumin, coriander seed and black pepper make a good blend for a Spanish or Mexican dish. Indian spices include saffron, sesame, turmeric and ground ginger while many Eastern European dishes flavor chicken with spices like paprika, cinnamon, allspice and mace. Use salt sparingly for more healthful eating and rely on true spices for the majority of your flavoring. 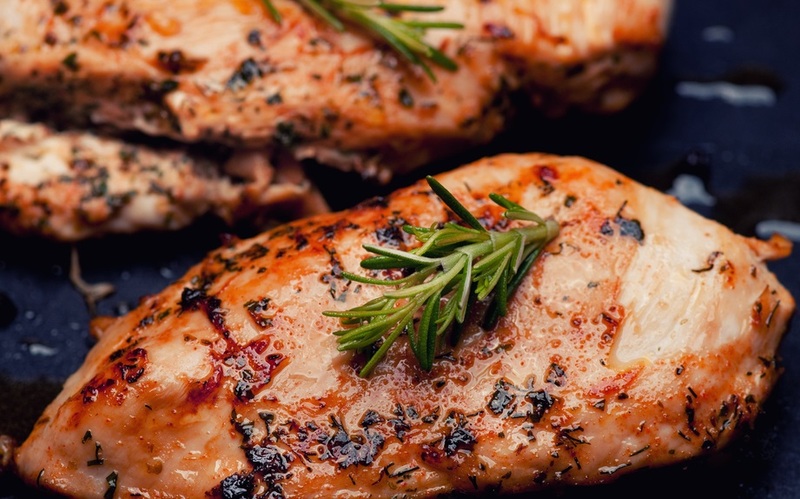 Savory herbs such as rosemary, basil, thyme, tarragon and sage go well with chicken. Use one flavor, such as rosemary for a singular accent or create a blend, adding in lighter herbs like chives or parsley for balance. Don’t try to blend two very strong flavors, like rosemary and sage or the palate will be confused. Other good herbs for chicken include lemon balm, fennel, mint, marjoram, coriander and garlic. An alternative to applying these herbs directly to the chicken is to toss a few fresh sprigs into the frying or roasting pan and cooking them alongside the chicken to capture the strong aromas in the meat. Rub equal amounts of Seasoning Mixture under the skin of each bone-in breast. Sprinkle chicken with salt and pepper. Place chicken on grill over medium heat and cook about 25 minutes or until juices run clear when the thickest part of the breast is pierced with a tip of a knife, turning over once. Sun-Dried Tomato and Basil Seasoning: In small bowl, mix 2 minced sun-dried tomatoes packed in olive oil and 1/4 cup loosely packed fresh basil leaves, finely chopped. Garlic-Herb Seasoning: In small bowl, mix 2 garlic cloves,minced, 1 tablespoon chopped fresh rosemary, 1 tablespoon olive oil and 1 teaspoon freshly grated lemon peel. Sage-Butter Seasoning: In small bowl, mix 1 tablespoon softened margarine or butter and 1 tablespoon chopped fresh sage leaves. In a medium-size bowl, mix tomatoes, mozzarella, 2 tablespoons of the olive oil, balsamic vinegar, 1/4 teaspoon of the salt, 1/4 teaspoon of the pepper and chopped basil for the Caprese salad. Cover with plastic wrap and reserve. Place flour on a large plate. Lightly beat eggs in a shallow bowl. Spread the bread crumbs on another plate. Heat remaining 3 tablespoons oil in a large nonstick skillet over medium-high. Add chicken and cook about 5 minutes per side or until internal temperature reads 165 degrees F on an instant-read thermometer. Turn a few times, if necessary, to avoid burning. 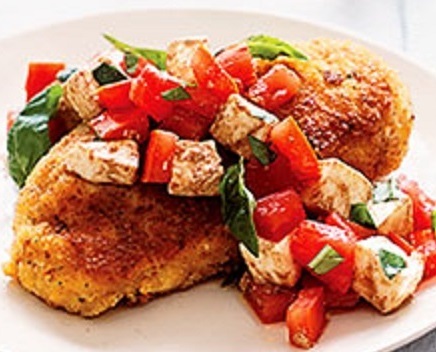 To serve, spoon an equal amount of Caprese salad over each piece of chicken. Garnish with additional basil and serve with sautéed greens and garlic bread, if desired. Preheat oven to 375 degrees F. Drain sun-dried tomatoes, reserving the oil. Season chicken with salt and pepper. In a 10-inch ovenproof skillet, heat the reserved oil over medium-high heat. 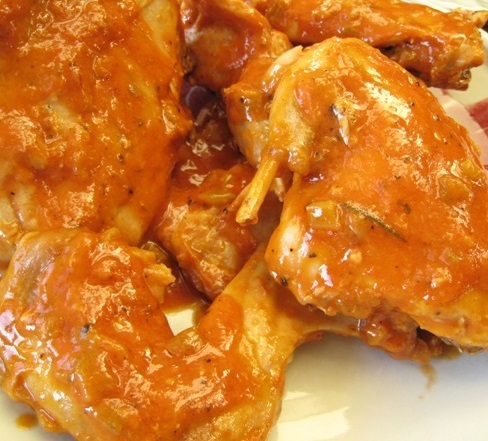 Cook chicken in hot oil 3 minutes on each side or until browned; remove skillet from the heat. Add tomatoes, olives, wine and bay leaves. Transfer skillet to the oven. Bake, uncovered, 10 to 15 minutes or until an instant-read thermometer registers 165 degrees F when inserted into chicken. Meanwhile, for polenta, in a large saucepan bring the 3 cups water to boiling. In a medium bowl combine polenta, the 1 cup cold water and the 1 teaspoon salt; gradually stir into the boiling water. Cook and stir until thickened and bubbly. Reduce heat; stir occasionally. Remove chicken from the oven; discard bay leaves. 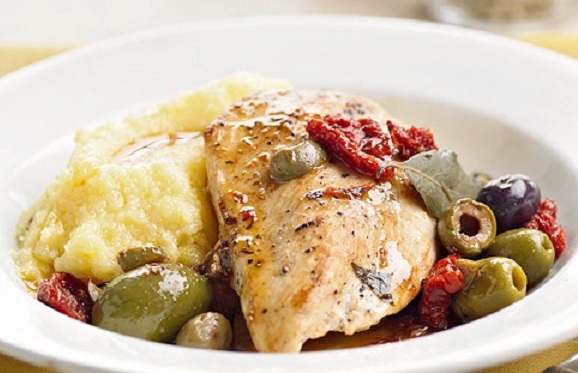 Serve chicken with polenta and olives. This dish is good served over your favorite quick cooking rice and green beans make a nice side dish. Season both sides of chicken breasts with garlic salt and pepper. Heat 1 tablespoon olive oil in a skillet over medium heat; cook seasoned chicken breasts until chicken is browned, 3 to 4 minutes per side. Remove from the pan to a plate and set aside. Add remaining oil, onion, mushrooms and brown sugar to the skillet; cook and stir until onion is browned, 3 to 4 minutes. Add the diced tomatoes, chicken broth, balsamic vinegar, basil, oregano, rosemary and thyme. Stir well and return chicken to the pan. Simmer until chicken is no longer pink and the juices run clear, about 15 minutes. An instant-read thermometer inserted into the center should read at least 165 degrees F (74 degrees C). Heat an outdoor grill. Cut four 18 x 12 inch pieces of heavy-duty foil. Place a chicken breast half on each piece of foil. 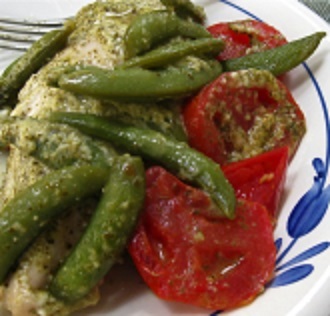 Divide tomatoes and sugar snap peas over chicken. In small bowl, combine pesto with mayonnaise. Divide this mixture over the chicken on each piece of foil. Fold foil over chicken and seal edges, using a double fold method. Cover and grill packets 6″ from medium coals or on a moderate gas grill for 25-30 minutes or until chicken registers 165 degrees F on a meat thermometer. You can also bake the packets in a preheated 450 degrees F oven for 23-30 minutes or until done. Mix chicken, 2 tablespoons oil, garlic, mint, oregano, salt and pepper in a medium bowl. Let marinate 30 minutes. Whisk remaining 2 tablespoons oil and lemon juice in small bowl to blend. Prepare barbecue (medium-high heat). Pull off large mint leaves from stems. 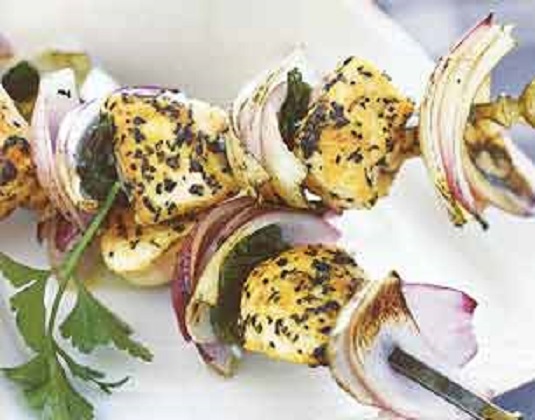 Alternate chicken, onion, and mint leaves on skewers; sprinkle with salt and pepper. Grill until chicken is just cooked through, turning and basting occasionally with oil-lemon mixture, about 9 minutes. Serve over Greek Salad. Mix the first 9 ingredients in a medium bowl to blend. Gently mix in cheese. Season with salt and pepper. 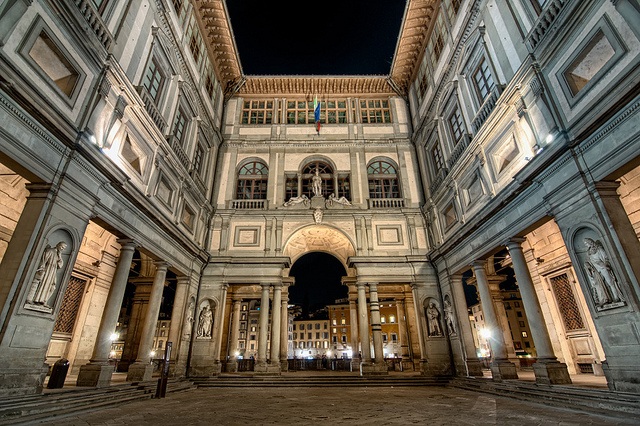 The Uffizi Gallery, housing one of the finest collections of art in the world today, is Florence’s most visited museum. It is housed in the Palazzo degli Uffizi and was commissioned by Cosimo I of Medici in the year 1560. The building, designed by the famous architect, Giorgio Vasari, was later added on to by Bernardo Buontalenti and Alfonso Parigi, with its construction finished in 1581. 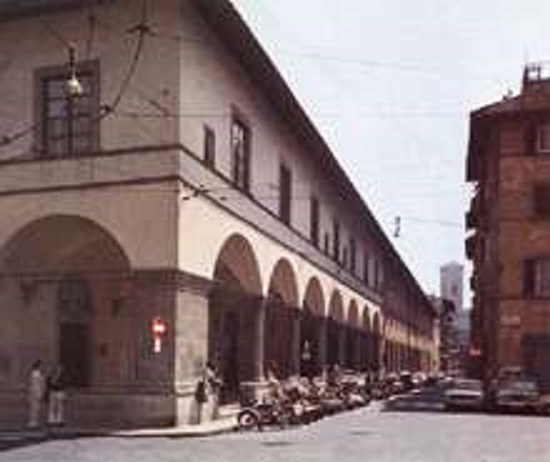 The Palazzo degli Uffizi was initially built to be an office for the magistrates of Florence, but was turned into an art gallery by Francesco de Medici, Cosimo’s son, who set aside certain rooms on the upper floors of the building to be used as a museum where objects from his collection could be exhibited. Francesco’s collection, which he started in 1574, was eventually added to by succeeding Medicis, most notably Leopoldo de Medici, who is credited with owning almost half of the total number of paintings on display in the gallery today. It was Leopoldo, who is also credited with having collected the vast number of artist’s self portraits in the museum and the gallery’s collection of miniatures, which is second only to the world’s largest collection of miniature paintings housed in the Victoria and Albert Museum in London. The history of the Uffizi gallery and its collection goes back, not just to the 16th century when the gallery was started, but to art created in the 13th century and displayed in the corridors of the gallery. The Medici princes and kings kept on contributing to the gallery from their personal collections until the 18th century and ended up creating a legacy of some of the finest and exceptional works of art that can see anywhere in the world, today. 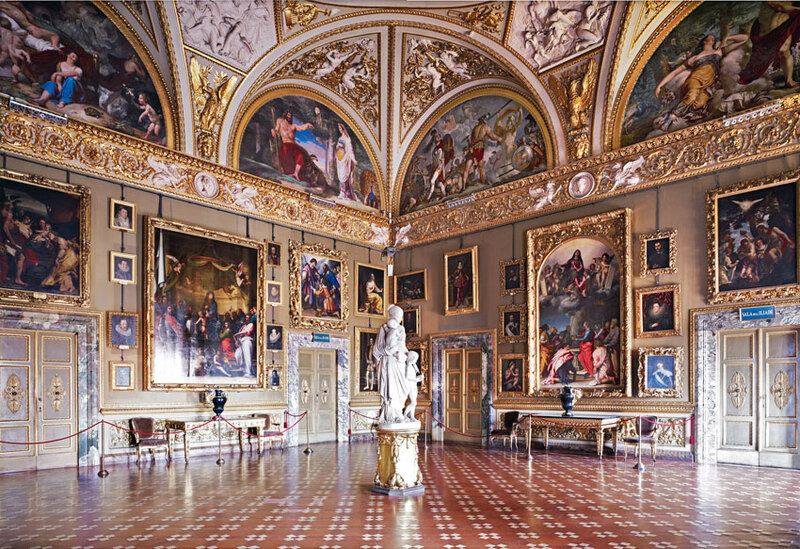 After the house of Medici was extinguished, the art treasures remained in Florence by terms of the “Patto di famiglia” negotiated by Anna Maria Luisa, the last Medici heiress; it formed one of the first modern museums. The gallery had been open to visitors by request since the sixteenth century and in 1765 it was officially opened to the public. Because of its huge collection, some of its works have in the past been transferred to other museums in Florence—for example, some of the classical statues went to the Bargello. A recent project expanded the museum’s exhibition space from 6,000 metres (64,000 ft) to almost 13,000 metres (139,000 ft), allowing public viewing of many artworks that had been in storage. Today, the Uffizi is one of the most popular tourist attractions of Florence. In high season (particularly in July), waiting times can be up to five hours. Visitors who reserve a ticket in advance have a shorter wait. The Bargello Museum is a sculpture gallery for Renaissance art. Officially titled, the Museo Nazionale del Bargello, the museum contains priceless marble and bronze statues created by artists Donatello, Verrocchio and Michelangelo. Built in 1255, this turreted fortress is a recognizable structure in a city filled with memorable buildings. 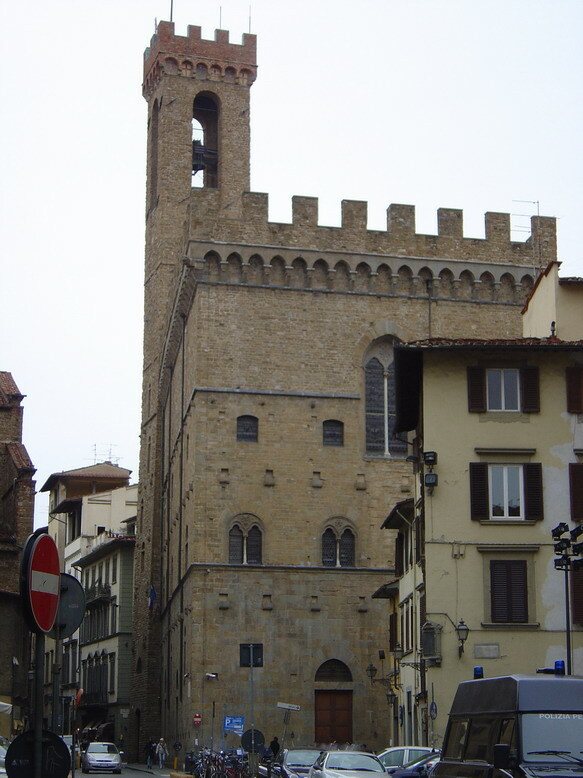 Throughout its existence, the Bargello has had many uses, including a mayor’s office, a prison and a courtroom. In 1574, the building earned the name that it is now known for because Florence’s chief of police (il Bargello) moved his headquarters there. The Bargello began its life as a museum in 1859 in order to accept the overflow of sculptural treasures from the Uffizi Gallery. Laid out over three floors in beautifully decorated and vaulted loggias surrounded by an inner courtyard (which was used, during its prison days as the site of executions), the Bargello has a museum setting that is more manageable than the sprawling Uffizi. On the ground floor is the Michelangelo Room, that also houses art works by Cellini, Giambologna and a few other notable artists. One flight up is the enormous Donatello Room, formerly the Salone del Consiglio Generale (the Great Council Chamber). It holds Donatello’s bronze sculpture of David, his marble sculpture of St. George and the original bronze door panels that Lorenzo Ghiberti and Filippo Brunelleschi sculpted for the Baptistery doors competition. This floor contains several other rooms including the Mary Magdalene Chapel, which has frescoes attributed to the work of Giotto; a room of Islamic artworks; and other rooms displaying ivories, majolica work and sculptures and iconography from the 13th and 14th centuries. On the top floor, visitors will find rooms dedicated to the artists Verrocchio, Andrea and Giovanni della Robbia; a collection of small bronze sculptures in the Sala dei Bronzetti; and a section consisting of sculptures from the Baroque period. The Galleria dell’Accademia is one of Florence’s top museums, chiefly because it is home to Michelangelo’s, David, and the statue is the highlight of an extensive collection of Italian art. Michelangelo’s David was moved here in 1873 to protect it from the elements. The sculpture had once stood outside the Palazzo Vecchio and was “the” symbol of Florence. So it was imperative that the Accademia provide a gallery worthy of such an important piece of Florence’s heritage. Architect Emilio de Fabris was hired to design a special wing for the prized statue. In 1784, Grand Duke Pietro Leopoldo founded the Accademia di Belle Arti, Florence’s Fine Arts Academy and the adjoining Galleria dell’Accademia. For the gallery’s collection, the Grand Duke amassed Tuscan works to serve as examples for the student’s of the academy to study. Over the years, the Accademia acquired many drawings, painting and sculptures dating from the 13th to the 16th centuries, including works by Botticelli, Pontormo, Giambologna and Lorenzo Monaco. Over the years, the Accademia has grown to include a Department of Musical Instruments, which houses historic musical instruments from the adjacent Cherubini Conservatory. On the banks of the Arno, close to the Ponte Vecchio, stands a small and often missed museum. Hidden from the crowds milling outside the nearby Uffizi, the Museo Galileo sits in the heart of Renaissance Florence. The museum’s origins are centuries old. 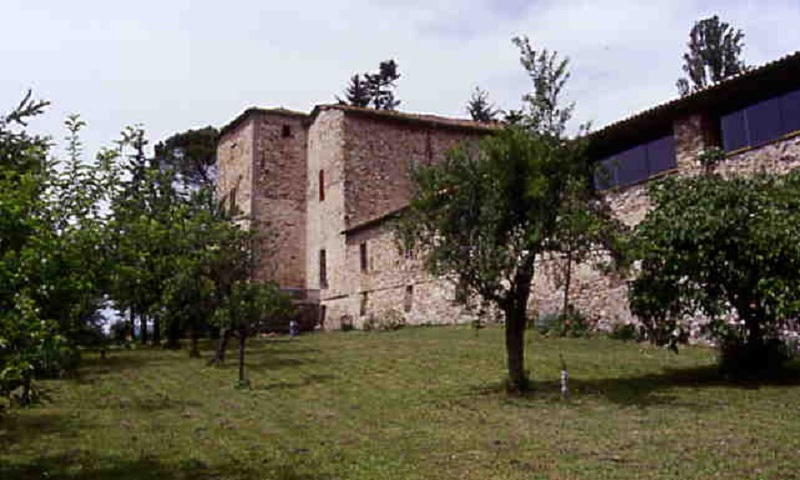 It is housed in the 12th century Palazzo Castellani. In 1657, in memory of the recently deceased Galileo Galilei, the city of Florence founded the world’s first scientific institution, the Accademia del Cimento – the Academy for Experimentation, which was the start of a passion for the discovery of scientific knowledge and principles. 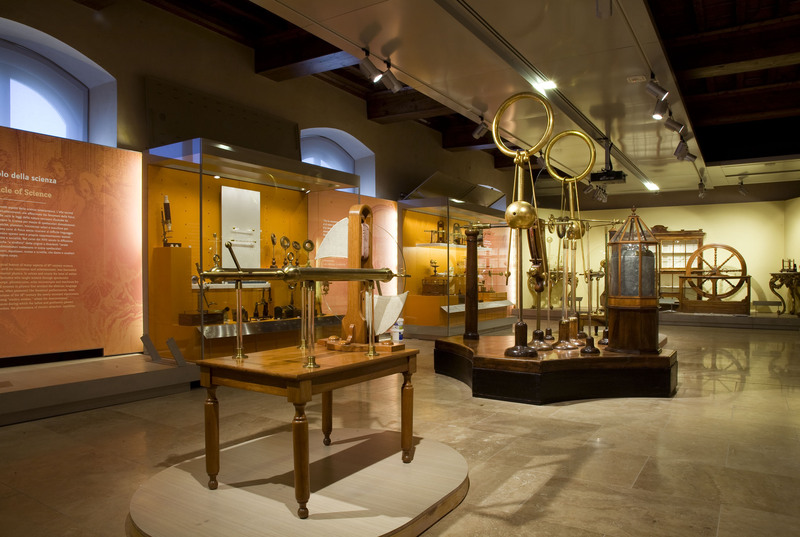 A part of the museum is dedicated to the life and works of Galileo, with many of his experiments faithfully reproduced. A display of his original instruments includes telescopes by which he revolutionised astronomy and validated the theories of Copernicus – which led to Galileo being summoned before the Inquisition. The objective lens Galileo used when discovering Jupiter’s four largest satellites, now named the Galilean moons, is also displayed, as are some of his notebooks. The massive palace that was once home to the Medici Grand Dukes now houses six museums and the Boboli Gardens. The galleries contain works by late-Renaissance and baroque artists Caravaggio, Rubens, Perugino, Giorgione, Guido Reni, Fra Bartolomeo, Tintoretto, Botticelli, Filippo Lippi, Pontormo and Beccafumi. The Giardini di Boboli (Boboli Gardens), one of the finest parks anywhere, was designed between 1549 and 1656. This statue-filled park features fountains, grottoes, a Kaffeehaus for refreshments in the summer, grassy meadows for relaxing and pleasant wooded areas. It is also where the world’s first true opera premiered. In 1589, the Medici held a wedding reception in the Boboli Gardens and for the occasion commissioned musical entertainment from Jacopo Peri and Ottavio Rinuccini. The composers came up with the novel idea of setting a classical story (Dafne) to music and having actors sing the whole thing. Thus was the birth of opera. The team later collaborated on Euridice (1600), which also premiered here and whose score has survived as the oldest opera. The Galleria d’Arte Moderna (Modern Art gallery) and The Galleria del Costume (Costume Gallery) with costumes dating back to the 1500s.The Museo degli Argenti (Silver Museum) contains a decorative arts collection, the Museo delle Porcellane (Museum of Porcelain) and the Museo delle Carrozze (Museum of Carriages). The cuisine of the Middle Ages was more international with recipes, ingredients and flavors that were practically identical throughout Europe and unified by the social standards. On one hand, there was the nobility with its preferences for wild game and fish. These dishes were favored by the dignitaries that passed from one Court to the next and were characterized by an exaggerated use of spices, the real status symbol of the period. On the other hand, there were the common people, who were able to sustain themselves with what came from the land or the market, giving life to the “characterizations” that would later define separate national and regional cuisines, specific ingredients and local customs. For example, the well-recognized use of vegetable oils in the south of Italy versus animal fat (lard and butter) in the north. 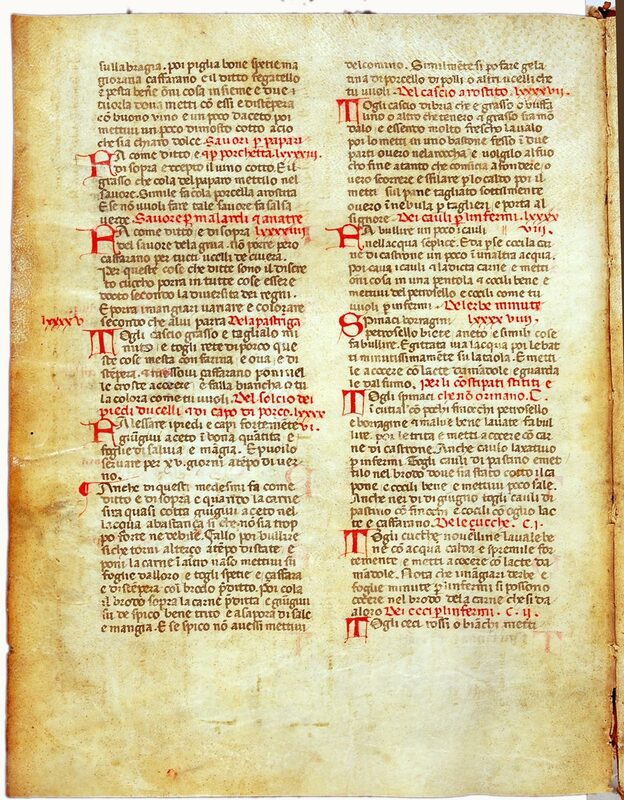 The three main cookbooks from the period were Liber de coquina (a cookbook contained in a miscellaneous text dedicated to Charles II of Anjou at the beginning of the XIV century), the Libro della cocina bolognese (written in Tuscan dialect) and the Libro per cuoco (by an anonymous Venetian written at the end of the century). These books are actually real kitchen manuals, written and copied (before the printing press was invented) to be sold to professional chefs, who would be able follow the suggestions and recommendations. The chefs would have also been capable of estimating how much of an ingredient to use, as quantities were entirely missing from the books. Here are details of a banquet given on January 23, 1529 by the son of the Duke of Ferrara for his father and various dignitaries. The total guest list numbered 104. Prepare the fish: skin and cut into thick slices. Saute the onion in the oil over a low heat until soft. Add the parsley, garlic and anchovies and stir until just coated. Remove from heat. Mix the flour, cinnamon, salt and pepper. 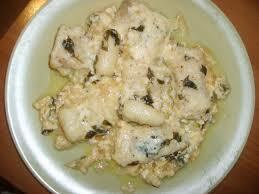 Coat the fish with the mixture and place in a heavy metal or earthenware pan. Fish should fit snugly in a single layer. Sprinkle with cheese, add the anchovy and onion sauce and cover with milk. Bring slowly to boiling, cover and set over a very low heat until the liquid is absorbed, about 2 1/2 hours. Serves 4. Melt the butter in a heavy pan and fry the meat with the leeks and garlic until the vegetables are slightly softened and the meat lightly browned. Add the barley, water, vinegar, bay leaves and seasoning. Bring the pot to the boil.Cover it and simmer gently for 1 to 1 1/2 hours or until the meat is really tender and ready to fall from the bone. Add the sage and continue to cook for several minutes. Adjust the seasoning to taste and serve in bowls. Salt the eggplant chunks. Heat the oil in a skillet and fry the eggplant. Drain. 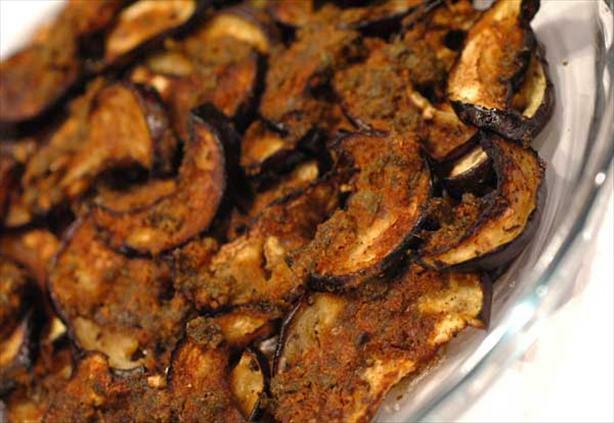 Remove the oil, wipe the pan of any excess oil and add the remaining ingredients, along with the cooked eggplant. Cook over medium heat until tender. Add mint. Serve at room temperature. The images above on the Italian Heritage Mural are part of the life work of Italian immigrant Gino Sbrana, who started his American life in San Francisco as a vegetable peddler. By 1911, he had launched a large photographic studio, Pisa Foto, at Columbus and Broadway in San Francisco. Later Gino founded a studio in Oakland and, in 1919, settled in San Jose. Not content to confine his artistry to the formally posed studio portrait, he traveled over the Bay Area countryside with his large wooden field camera, using soft light on the shady side of barns or under large oaks to capture his fellow countrymen. Gino posed them in the coastal mist with machetes poised to harvest cauliflower, perched atop their brand new motorcycles, assembled by trucks loaded with produce from the fields, sleeves rolled up and holding their “vino”. The first Italian wave, to arrive in California (1850 –1924) came from five parts of Italy: Genoa in Liguria, Lucca in Tuscany and a few provinces of Piedmont, Sicily and Calabria. Driven mostly by poverty in their homeland, many had no formal education and spoke little English. What they did bring were the skills gained as peasants and fishermen in Italy and, then, used those skills creatively in America. An advantage they had over their countrymen who had settled on the eastern seaboard was that California was not as developed as the eastern states and needed people with their work ethic and vision to help it grow. The first wave found California a diverse economy. When they proved unsuccessful in their search for gold many became wine growers, vegetable farmers, boarding house operators, merchants, loggers or fishermen. One well-known “failed” goldminer, Domenico Ghirardelli set up a tent in Stockton selling supplies and confections to miners. His sweets were so popular that in 1852 he opened the Ghirardelli Chocolate Company in San Francisco. By 1880 the fishermen from Genoa and later from Sicily could be found throughout the state and by 1910 Italians were said to control 80% of the fishing industry in California. Many chose to settle in small towns, gravitating to work in agriculture, initially as market gardeners, fruit growers and nurserymen. They raised crops that were sold in nearby cities and mining camps. It was during this time the wine industry started to develop. It was California’s suitability for grape growing that drew many of the Italians to this area. The Italian Swiss Agricultural society was a cooperative formed by Andrea Sbarboro in 1881 to aid Italian and Swiss immigrants with settling into their new land. Hiring peasants who had worked in the vineyards in Italy, the society gave them a fair wage, free wine and stock shares. Although the wine industry has changed over the years, Italian Americans still play a very significant role, owning or managing 15 percent of California wineries, including three of the largest and ten of the oldest. After the Civil war in the 1860’s, more Italian immigrants began to settle in North Beach and parts of Telegraph Hill in San Francisco. Many put down roots, established businesses and raised families. The Genoese came to dominate banking, truck gardening and grocery wholesaling.The Lucchesi from Lucca in Tuscany were merchants, produce vendors and peddlers, who opened small retail outlets, restaurants and produce stores at the base of Telegraph Hill. In the 1880’s the Sicilians followed and took over the fishing industry, settling around Fisherman’s Wharf at the northern end of North Beach. San Francisco, a city born in the excitement of the Gold Rush of 1849 and a city noted for its gourmet restaurants, was also the city of Italian provincial restaurants that served their clientele dishes in a congenial atmosphere reflecting the universal belief among all Italians that food and the pleasure of eating meals shared with relatives or friends remains essential to maintaining kinship ties. For Italians, the quality and quantity of food eaten by a family has always symbolized the economic earning power of the menfolk and the family’s social position guarded by the women. Equating food with family life was the formula recreated in San Francisco’s osterias and trattorias, where patrons felt the reverence Italians demonstrated towards their food. San Francisco’s first Italian restaurateurs introduced the city to the cuisine of northern Italy. Although the city’s Italian community was small from the 1850’s through the 1880’s, it was the largest in the United States and characteristic of the pattern in Italian immigration. Catering to the specific appetites of this varied patronage, there was a blend of hearty foods which aimed to satisfy all the provincial palates. Ravioli and cioppino for the Genoese; beans for the Florentines along with rigatoni and grilled meats; veal ragu, for the Tuscan palate; saltimbocca for the Romans; risi e bisi (rice and peas) and scampi for the Venetians; bollito misto for the Piedmontese and zabaglione for the Sicilians–these delicacies not only pleased the various provincial tastes, but, in a far corner of the American West, Italian proprietors laid the groundwork for a restaurant industry which would contribute to San Francisco’s recognition as a gourmet city. At the same time, these restaurateurs set the stage for social interaction within a society represented by the cosmopolitan tastes of a transient frontier community. Notable among these pioneers were six provincial Italian restaurateurs: Frank Bazzurro, Giuseppe Campi, Stefano Sanguinetti, Frank Luchetti, Giuseppe Coppa and Angelo Del Monte. Each paved the way for successive generations of Italian restaurateurs who would continue to promote respect for the Italians through the medium of food. Genoese Frank Bazzurro came to San Francisco in 1852, where he purchased for fifty dollars, the schooner “Tam O’Shanter,” one of hundreds of ships abandoned in San Francisco Bay and opened his restaurant. Utilizing crabs, which were plentiful and one of the cheapest foods in the city, Bazzurro introduced San Franciscans to the Genoese delicacy, Cioppino – the Italian version of bouillabaisse. Bazzurro moved his restaurant from this waterfront location twice, once because the area was reclaimed by the city and the land filled in and the second time because of the destruction caused by the 1906 earthquake and fire. Bazzurro relied upon bountiful resources from the bay and the city’s outlying truck farms to prepare his provincial specialties. San Francisco Bay provided as much fish and shellfish (most of which was caught by Genoese and Sicilian fishermen) as was found in the Mediterranean Sea. Dungeness crabs, oysters, clams, squid–which became calamari in the saute pans of Italian cooks–were in abundance, as was cod for baccala and salmon and striped bass were perfect for fish meatballs. From the fertile soil of the city’s truck farms and the ranches along the Peninsula where the Tuscan and Genoese farmers settled, grew the vegetables essential to the provincial Italian diet, such as artichokes, broccoli, asparagus, zucchini, fava beans, Swiss chard, cardone and the aromatic herbs: garlic, anise, sage, fennel, oregano and sweet basil. As the city spread out from the waterfront towards Montgomery Street and along Broadway bordering “Little Italy,” Italian restaurants opened their doors. Offering menus of inexpensive and informal home cooked food, they captured the gastronomical hearts of San Franciscans. Campi’s rival was Sanguinetti’s Restaurant, which was in full operation by 1888. Once located on Vallejo Street and then on Davis Street, Sanguinetti’s chief clientele were the fishermen from the nearby Union Street wharf. One could get a bowl of thick minestrone, an entrée and a bottle of wine for twenty-five cents. For a nickel’s worth of beer, however, one also got a generous free lunch of spaghetti, Italian bread and fried fish. Two bartenders patrolled a line of ten beer barrels, drawing the brew slowly, first from one, then another and finally a third to fill a single glass from very small spigots. If drawn too quickly, the barrels’ pressure would turn the unique steam beer into froth. Sanguinetti’s, owned by Stefano Sanguinetti, who later Americanized his name to “Steve,” was an attractive eatery with a low-beamed ceiling and dark walls. To give the restaurant an air of unconventionality, sawdust was spread on the floor. Writing for the Overland Monthly, Roland Whittle found the spontaneity of Sanguinetti’s to his liking and typical of Italian restaurants, he also liked their familial ambience. “One can drop into the little place almost any evening and hear the Italian folk song sung in the sweet, languorous music and tongue of South Italy,” he wrote. Next door to Sanguinetti’s on Sansome Street was Lucchetti’s which opened in 1874 was a major competitor. Whittle put down the equally popular Lucchetti’s as “a large, straggling barn, uncomfortable in its fittings and devoid of artistic setting. The walls are devoid of ornament, except for gaudy advertisements of cigarettes and liquor,” he wrote. On Sunday nights, Lucchetti’s was in its glory, since that was when the Italian local fishermen who frequented the restaurant left the place to younger Americans eager for a night on the town. Their rowdy behavior indicated to Whittle that they were not interested in the fifty-cent meals of soup, fish, chicken, ravioli and spaghetti, but in a “mad, wild frolic” and “rough flirtations” with the ladies. Coppa’s, located in the Montgomery Block Building, was the most famous of all the city’s favorite Italian eateries before the 1906 earthquake and fire. Located close to the stock exchange, Coppa’s attracted brokers and financiers during the day, but once the sun set, it was the mecca for “Bohemians”. The food was rated above average, thanks to the culinary expertise of Giuseppe Coppa, the Turinese chef, who had trained in some of the city’s top restaurants. Although Coppa’s survived the earthquake and fire, the landlord raised the rent, forcing Coppa to relocate and, thereafter, open a series of mediocre restaurants. Del Monte took in a partner in 1896, a young immigrant known to his customers as Papa Marianetti, from Maggiano, a town between Lucca and Pisa. Like other Italian restaurants, the Fior d’Italia was a family operation that included Marianetti’s, two sons, George and Frank, who shelled peas, bused tables and washed dishes after school. 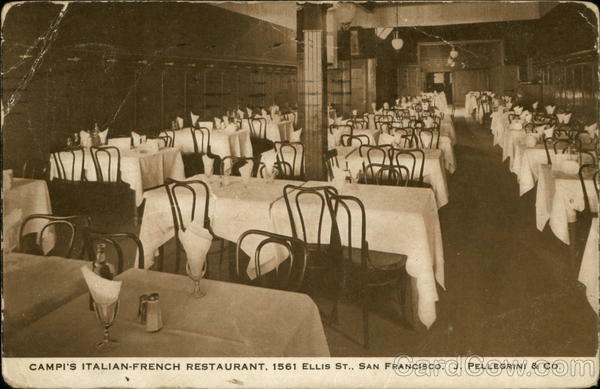 The “Fior,” as the restaurant was known among San Francisco’s Italians, became the Italian community’s “in” spot, where important family events–weddings, baptisms, anniversaries, birthdays and first communions–were celebrated. The Fior d’Italia, presently located near Washington Square in front of St. Peter and Paul Church, was the city’s oldest surviving pioneer Italian restaurant. 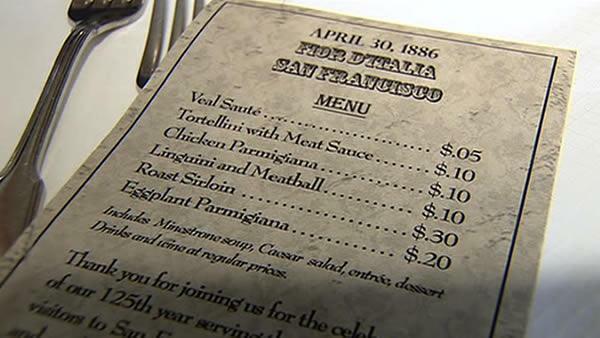 In 2012, after 126 years of business, Fior D’Italia served its last meal in San Francisco. Citing financial strain, the restaurant closed. Certainly Bazzurro’s, Campi’s, Coppa’s, Sanguinetti’s, Lucchetti’s and the Fior d’Italia were not the only prominent Italian restaurants in San Francisco before the turn of the century, but they were the most popular among discriminating Italians and locals.These six restaurants laid the groundwork for a gastronomical industry that has profitably contributed to the economic structure of San Francisco. By 1900, when the influx of Italians increased, North Beach had become an eating paradise–at workers’ prices. Italian restaurants stretched along Columbus Avenue from Montgomery Street to Francisco Street, along upper Grant Avenue and along almost every side street between Chinatown and Fisherman’s Wharf. Museo Italo Americano at Fort Mason: The museum has a small permanent Italian art collection that includes a beautiful Sicilian cart, changing exhibits, special events and lectures, books, DVDs, a gift shop, Italian language classes and children’s classes. The museum is open to the public daily, noon to 4:00, except Mondays, free. A. Cavalli Italian Bookstore: 1441 Stockton Street off Columbus in North Beach – The store has been in business since 1880. They sell Italian books, magazines, greeting cards, videos and gifts. They now have a cafe, too. The store is closed on Sundays. Molinari’s Deli: 373 Columbus Avenue in North Beach – Molinari’s has been in San Francisco for more than 100 years. It has lots of Italian imports including wines, meats, cheeses, pasta and dry goods. You’ll still see many Italians shopping there, ordering in Italian. It’s a good place for a sandwich. The deli is closed on Sundays. Heat oil in an 8-qt. Dutch oven over medium-high heat. Add chile flakes and garlic; cook until soft, about 3 minutes. Add stock, tomatoes and basil; boil. Reduce heat to medium-low; cook until slightly thickened, about 10 minutes. Add cod, calamari, shrimp, scallops, clams, mussels and crabs, cover with lid and cook until seafood is cooked through, about 8 minutes; season with salt and pepper. Serve with crusty Italian bread. Pizzas with wild nettles are very popular in the Bay area. Nettles grow wild all year in northern California, and chefs use them in as many ways as possible. Because raw nettles can make you itch, it’s best to handle them with gloves or tongs. Once cooked, the nettles lose their sting and have a deep, earthy flavor. Peel outer skins from garlic bulb, leaving cloves attached. Cut off top quarter of the bulb. Place bulb, cut-side up, on a piece of aluminum foil. Drizzle with 1 tablespoon oil and seal foil tightly over garlic. Bake at 425 degrees F for 45 minutes or until soft. Remove from oven; cool. Scoop out garlic pulp, mash and stir until smooth. Preheat oven to 450 degrees F with a pizza stone on the bottom rack. Blanch nettle leaves in salted boiling water 1 minute, drain and plunge into ice water. Remove nettle leaves from water, wringing out excess, and set aside. If using spinach, place in a microwave-safe bowl and heat at high 3 minutes. Set aside. Sprinkle surface with semolina flour and roll pizza dough into a 12-inch circle. Spread dough with mashed garlic (garlic won’t cover entire surface); sprinkle with crushed red pepper flakes and black pepper. Sprinkle with Pecorino Romano and thyme. Roughly chop nettles and spread over thyme. Sprinkle mozzarella, provolone and fontina evenly on pizza. Carefully slide pizza onto the preheated stone; bake 6 to 8 minutes or until edges are lightly browned and crispy. Slice, drizzle with extra-virgin olive oil to taste. Note: Place pizza on parchment paper—helps slide onto pizza stone. Named after a historical term for “garlic”, The Stinking Rose offers contemporary California-Italian cuisine prepared and adorned with garlic – and strives to accommodate every palate. There is hearty fare for the truly adventurous, mild for the novice, and “sans “garlic for those finding the herb’s folklore and aroma more appealing than its taste. This recipe is from their cookbook, The Stinking Rose Restaurant in San Francisco. As the name implies, garlic is their featured ingredient. In a shallow bowl, stir flour, salt and pepper together. Dredge rabbit pieces in flour mixture, completely coating meat on all sides. In a large cast-iron skillet, heat 3 tablespoons olive oil over medium heat. Put rabbit in the skillet and cook for 4-5 minutes on each side, until nicely browned. In a small bowl, toss the garlic with 1 tablespoon olive oil to coat completely. Transfer rabbit to a baking dish and sprinkle with garlic, olives and thyme. Bake, uncovered, for about an hour or until the garlic cloves are golden brown and the rabbit is browned on the outside and opaque throughout. Drizzle the remaining 1 tablespoon olive oil in an abstract pattern on a serving platter and arrange rabbit on top. Scoop the garlic cloves and olives from the baking dish and sprinkle over the rabbit. Serve immediately. SPQR is an acronym for Senatus Populusque Romanus and translates to “The People and Senate of Rome” and was the emblem of the Roman Empire. Executive Chef Matthew Accarrino at SPQR in San Francisco was born in the Midwest and raised in New Jersey, Accarrino began his culinary journey in high school working his way up from dishwasher to cook in small local restaurants. With the desire to receive formal training, Accarrino enrolled in The Culinary Institute of America, where in 1998, he received his Associate Degree in Culinary Arts. He has trained abroad in Italy and worked for some of America’s best chefs including Todd English, Rick Moonen, Tom Colicchio and Thomas Keller. In late 2009 he moved to Northern California and joined the intimate restaurant SPQR as Executive Chef. Since his arrival, Accarrino has been named Star Chefs’ 2010 Rising Star for his “innovative vision, finesse and deeply satisfying cuisine,” and in 2011 he took top honors at San Francisco’s Cochon 555 competition. Accarrino was nominated by the James Beard Foundation as a semifinalist for “Best Chef: Pacific” in 2012 and the restaurant received its first Michelin star under his direction in the 2013 guide. He is also co-author of the book SPQR: Modern Italian Food and Wine, which was released in fall 2012. Heat butter and oil in a 12″ skillet over medium-high heat. Add shallots. Season with salt and pepper and cook, stirring, until soft, about 2 minutes. Add poppy seeds; cook, stirring, until fragrant and shallots just begin to brown, about 3 minutes. Add wine; cook until almost all liquid evaporates, about 5 minutes. Add buttermilk and cream; cook, stirring, until reduced slightly, about 3 minutes. Meanwhile, bring a pot of salted water to a boil; add pasta and cook until al dente, about 7 minutes. Drain pasta, reserving some cooking water, and add to the sauce in the skillet. Add prosciutto, Parmesan, half the scallions and lemon juice; toss to combine, adding pasta cooking water if necessary to make a smooth sauce. Season with salt and pepper and transfer to a serving dish; sprinkle with remaining scallions and more Parmesan.